Sunday morning brings a great display of British cars and exploring vibrant Old Town Clovis. The autumn “Clovis Antique and Collectibles Fair” will be just north of our car show. Explore the antique shops and get lunch at an Old Town restaurant. Check out the “Birds of Prey” display by Fresno Wildlife Rescue. “Entrants Choice” show winners will receive very nice awards and any entrant can drive away with some super raffle prizes. Enter today! 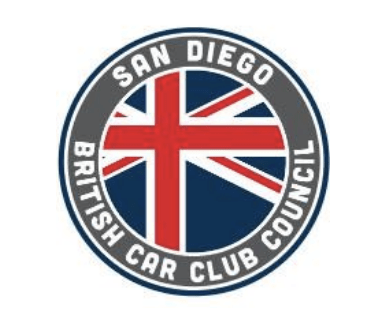 The annual San Diego British Car Day organized by San Diego British Car Club Council will be held at historic Spanish Landing Park East. Registration is available online: $25 for one car ($20 for additional cars) and $10 for British Motorcycles. Onsite registration is $40. Classes are based on registrations received by October 1st. Cars requiring trailers are allowed, but trailers cannot be parked at Spanish Landing Park for the day, and must be parked elsewhere. Food trucks and vendors will be available for your enjoyment. Shade tents are allowed, but cannot be staked down, they must be weighted.